A sudden announcement from the Queensland Government that two iconic agricultural colleges will close has left the State’s peak farming body fuming, saying it was staggered the broadacre sector was not asked for input. The Queensland Government on Wednesday announced the Emerald Agricultural College and the Longreach Pastoral College will close in December 2019, following the recommendation of an independent review of the Queensland Agricultural Training Corporation that manages the colleges by higher education expert Professor Peter Coaldrake from QUT. Professor Coaldrake’s report painted a gloomy picture of colleges offering services that are no longer in wide demand and that failed to move with the times. The fact that the colleges have been struggling financially for many years is no secret. In 2012 a Queensland Government commissioned review of the college’s performance by EY found they had not operated profitably since the Australian Agricultural College Corporation (AACC) was established to oversee them in 2005. The review said the colleges had suffered from an underinvestment in capital expenditure, were receiving a poor commercial return and their cash resources were depleting. Key problems included low student demand in the agricultural colleges and an inability on the part of AACC to meet the training hours targets set out in its funding agreement with the Department. EY also noted poor management and record keeping, shortfalls with workplace health and safety compliance, and a top heavy management structure had contributed to the poor performance. EY found that some 34 percent of revenue was being allocated to education and training functions, and 66 percent to corporate overhead, while only 81 of 190 full time equivalent staff were dedicated to education and training roles. In its review earlier this year, the Coaldrake Review said the majority of EY’s findings were equally relevant today. “These issues have not been adequately addressed over the six years which have elapsed,” Professor Coaldrake wrote. Following the EY review in 2012 the State Government replaced the AACC with an independent statutory body, Queensland Agricultural Training Colleges (QATC), which came into being on July 2014, to provide specialist vocational training in the agricultural sector. The QATC made losses of $1.58m in 2015-16 and $1.61m in 2016-17. The Coaldrake review noted the task of achieving budget sustainability was not made any easier by the continuation of severe drought conditions affecting the central west, or the fact the QATC was being “weaned off” grant assistance during its initial years. In 2015 the governing board of the QATC invited David Crombie to review the organisation’s governance structure and systems. Mr Crombie found it had cumbersome systems and its business model was anchored in the past. “Its teaching and curriculum offerings are perceived to be ‘out of touch and expensive’ and there are high costs for the maintenance of underutilised assets’ he noted in his report. Professor Coaldrake’s review found the current board of QATC had taken action to contain wages and salaries, to inject some capital expenditure into college facilities and had introduced some new courses. But, not withstanding these developments, QATC’s position has continued to weaken, with revenue streams below target, expenses in excess of revenue received, and an operating deficit of $5m recorded for the financial year to date to March 2018 (against a budgeted deficit for the entire year of $4.8m). Professor Coaldrake said the challenge for the Emerald and Longreach colleges now went beyond financial pressures to a loss of credibility: “The sentimental attachment held for the two colleges in their respective communities, especially by their own alumni, has largely dissipated, with the frequent observations made that they have “lost their way”, and that the model of education they offer is no longer either relevant to industry needs or affordable. The report, completed in June this year, recommended the EAC and LPC cease existing operations as at 31 December 2018. It suggested possibilities to repurpose the buildings and/or facilities included combining them with local schools, TAFES or a university, transferring the buildings and facilities to another State Government department or agency, or disposing of or leasing the assets to government, a commercial party, regional council or other entity. The report said that with new jobs and even new industries emerging in the agricultural and pastoral sectors and across the rural and regional economy, a major need will exist for education and training into the future, including tourism and hospitality, civil construction and maintenance, health and community care, business management, IT literacy, solar farming, drone/robotic/GPS technologies for the agricultural, pastoral and mining sectors, farm aviation, water management, new techniques in farm management (including cluster fencing and pest management), new agribusiness opportunities (including crop production techniques and pulses) and digital extension services. The Queensland Government announced yesterday it had accepted the report’s recommendations and will close the QATC and the colleges it operates in December 2019. 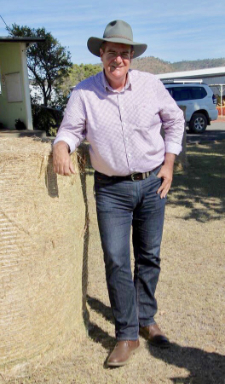 Queensland Minister for Agricultural Industry Development and Fisheries Mark Furner said the agricultural industry had evolved significantly and change was needed to make sure training needs could be met and rural economies supported. Mr Furner said more than 70 key stakeholders, as well as local mayors and local MPs, were consulted during the Coaldrake Review. In addition, he said, Mayors in regions affected by the changes were also briefed yesterday. Mr Furner said he gave an undertaking to continue to consult them as the new model of training delivery takes shape. He said the State Government had commenced negotiations with vocational education and training (VET) providers and commercial partners about the potential use of QATC’s college facilities to not only meet industry training needs, but also help boost economic growth through other identified opportunities. AgForce General President Georgie Somerset said she was staggered that the broadacre sector was not asked for input into the termination of the Longreach Pastoral College and Emerald Agricultural College. “It is shameful that our industry has been roundly ignored by the Government and by Professor Peter Coaldrake on this issue, when we have historically been so involved in and connected to the Colleges. Education has never been free, and as the previous writers have said “once we loose the asset (Ag Collages) its gone”. I agree there could have been some curriculum improvements, rethinking even turn it up side down but don’t just axe it. Keeping pace with new technology is vital for students, but practical skills are part of farming and always will be, sitting in office checking the water points with your “Drone” is useless if you don’t know how to solve the air lock problem in the pipe line. I recently visited Texas and was in ore of the A & M Uni (agriculture & mechanics) the scale, prestige and relevance was first class. I was interested to learn that the oil companies supported agricultural training and unlike here there government backs agriculture. It will be a kick in the Guts to Queensland farming! The gov….x<x,d#*…..
We have nothing to worry about after all. Professor Coaldrake is the recipient of an OAM for “distinguished service to higher education.” The gurus in politics have agriculture all covered? I attended Longreach with two of my brothers, and another attended Emerald college during the 70’s and 80’s. The experience and training was invaluable then (and I’d been working on the land since I could lift a lamb into a lamb-marking cradle), as I’m sure it is today. Certificate and Diploma level courses: there’ll be those that need to go back to the farm, and they’ll be those that never thought they would, but that do go on to higher education and bring the skills home later. The opportunity to learn regenerative practices in soil-health improvement and to manage water, are right there. Maybe even training the large number of Rural Valuers we shall need in the future (they can learn all the basic skills, including surveying, soils, climate, pastures, etc, and then go on to a University for the Land Economics ‘stuff’ afterwards). But to close them now, in the middle of a drought, is at best short-sighted, and and worst an act of bastardry. And then there’s the small issue of sheep coming back into central Queensland. Maybe it’s time to privatise, and to roll the colleges up into a private REIT which owns Land and Infrastructure in Trust; and which leases the colleges to an operating entity that’ll get the job done: as a mix of permanent, online and short-term Students who learn the basics, and then come back regularly to sharpen the Axe. They’ve slready sold “Manningham” and once “Berriga” is sold, it’ll never be able to be replaced … it’s arguarguably priceless for its role, in that location. Any owner that lets it’s assets run-down without the necessary Cap-Ex is arguably a fool. The right people are there in place, right now; don’t let them go away. Though they’ll need to be operating like a Sheep or Cattle Station, under the Station-Hands Act … no one wants to start a muster at 9:00 because no one of staff wants to get out of bed early … too stressful on livestock and people. Think of tomorrow, and the day after … this decision was as short-sighted as it could possibly get … and I don’t care what Professor Coaldrake has reported … his agenda was clear … albeit unwritten. At this point in time – when we a being set up to feed the world – mainly China. How are the youth going to gain the skills required? or is this too part of the “free trade deal” where we import the farm labor? Or will we have sold off so much Ag land that the imported labor will be working on their own farms! This is very short sighted! this is up there with giving China the lease over Darwin Port! Coaldrake put the axe thru the old QDPI and now what is left of the Ag Colleges Great work . Coaldrake put the axe thru the old QDPI and now what is left of the Ag Colleges . I didnt think education could only be conducted for profit , I thought our taxes and GST went to help offer tertiary education , to progress the skill sets of a nation and help it grow. Where all AND SUNDRY benifited. is medicine only going to be done for profit as well , ? from the government that invented mediSCARE propaganda! I was a foundation student at the Longreach Pastoral College in 1967. It was a great training institution for the beef & wool industries for many years when it was controlled by a Board of local pastoralists. It is amazing how quick a good enterprise can go pear shaped when Government gets control. I was a foundation student at the Longreach Pastoral College in 1967. It was then run by a board consisting of local pastoralists. Great training for the beef & wool industries & a well run college for many years. It is amazing how quick an enterprise can go pear shaped when Government gets involved. The Queensland government has not operated profitably for decades. Can we shut that down as well? About 125 years ago Cecil John Rhodes dedicated land and financial resources to education including agricultural research and education. Rhodes’ Estate even took the trouble to select some promising young graduates like Bill Clinton, Kim Beasley, Malcolm Turnbull and Tony Abbott to further their education at Oxford University as Rhodes Scholars. Listening to politicians and businessmen speak today it seems that they might think that Australia can import its food from China like everything else? How have we managed to “progress” to the point where we now believe that agriculture in Australia can do without practical kills and extension? Is it illegal, immoral or fattening for politics to embrace a visionary approach to agriculture like Rhodes did?